How to buy your pearl ? 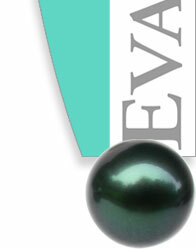 As we already told you, years of expertise are needed to really see the pearl quality. Quality and surface’s perfection are two different criterias. Special surface features are considered to be any flaw in the nacre that is visible to the naked eye such as pits, bumps, scratches, deposits, ridges and cracks. A high luster corresponds to a total reflection of the light, creating a mirror effect. A pearl without luster corresponds to a dull aspect of its surface. After a short time, you will be able to identify the level of perfection and the luster when looking close to the pearl. Be critical and do not hesitate to ask questions. 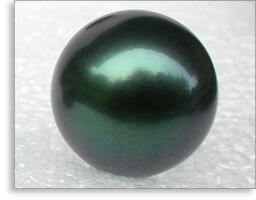 Tahitian pearls most important carateristic is its visible depth. You can think it is more a concept, but once you discover it, you will be caught by what we call "the magic of Tahitian cultured pearls". Some pearls will show more colors on a fair complection and some will show more on tanned skins. It is worthwhile trying pearls under the daylight to determine which color suits you the best but also to identify imperfections and luster more easily. Why buy it in French Polynesia rather than anywhere else ? Only few people are aware about technics that can alter pearls natural colors, luster and even shape ! In French Polynesia those technics are not yet used, pearls are simply cleaned after harvest, that’s all. Your pearl is more authentic if it is not treated, for this reason it is even more rare nowadays, enjoy it ! How to take care of your pearls ? DO NOT swim, shower or sleep with your pearls on.. Pearls are porous and thus may absorb detergents, fragrances, moisterizing cream, etc... . Be careful also not to spray perfume or hairspray on them. You should shine your pearls with a soft cloth regularly. To clean them, use a gentle fragrance free liquid soap and water, then swipe and shine them. If on a strand, only use dedicated special liquid onto your pearls, taking care not to wet the necklace thread , then clean the pearls with a soft, dry cloth. I personaly use "Perfect Pearl Spray" from "Town Talk Polish Co.Ltd.". Never soak pearls neither in olive oil nor salt water, as this will alter the luster, and is potentially damaging if done often. (unlike most shops and websites advise!). © 2009 Eva Perles Ltd. All rights reserved.